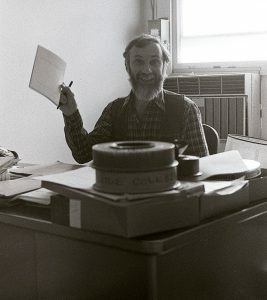 Above: Homer Sykes in the Album offices in 1970 by Bill Jay. A big thanks this week to Homer Sykes, Paddy Summerfield, Andrew Lanyon and Carol McCusker for sharing their memories of Bill. The support for the film is incredible and we have many conversations still to have over the coming weeks. However, if you knew Bill or know someone who did please let us know, we are always open to more information and new leads. 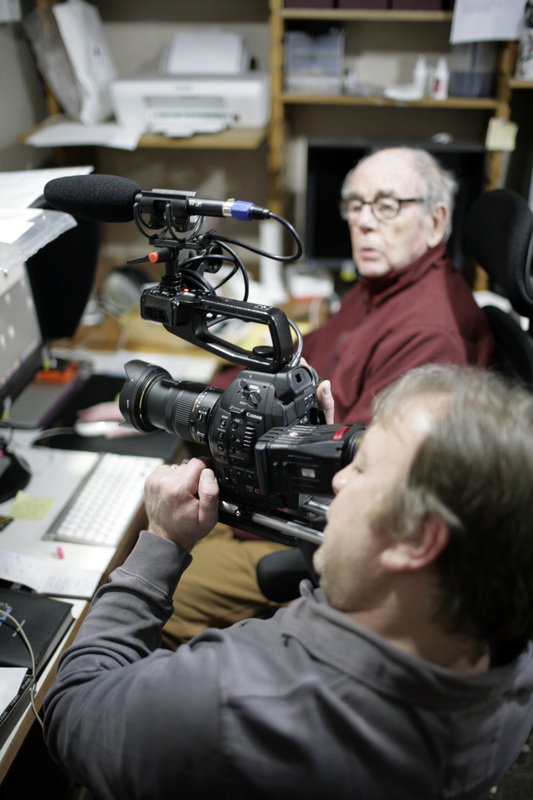 David Hurn in his home office with filmmaker Tim Pellatt. A big thanks to iconic Magnum photographer and great friend of Bill Jay, David Hurn for devoting a whole day to helping us with the filming of Do Not Bend: The Photographic Life of Bill Jay. David welcomed us into his home and spoke to us about Bill’s life and work in great depth. 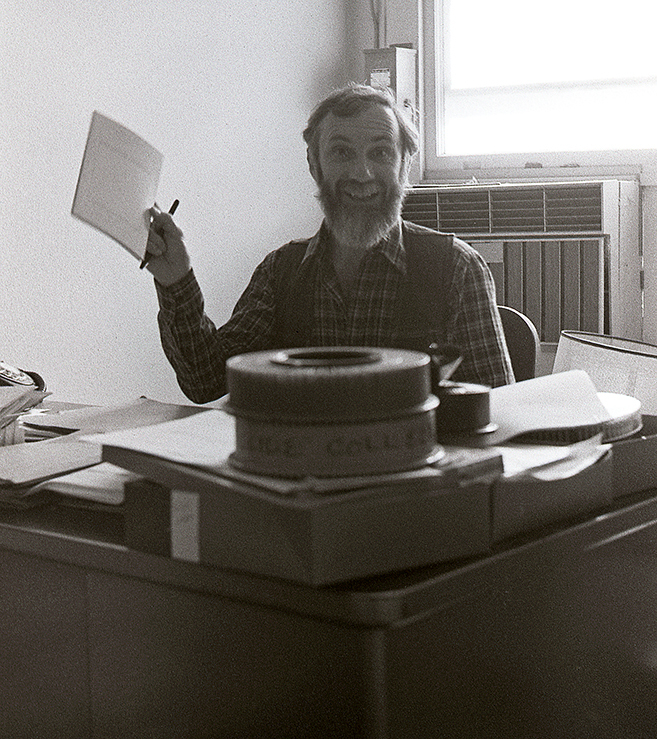 Bill Jay by Raymond Bleesz. We are excited to announce the first film project from The United Nations of Photography and Cordial AV titled Do Not Bend: The Photographic Life of Bill Jay will begin filming in the coming weeks. Bill Jay was a photographer, writer on and advocate of photography, curator, magazine and picture editor, lecturer, public speaker and mentor. He was the first editor of the immensely influential magazine Creative Camera in 1968 and the founder and editor of the equally influential Album magazine in 1970. He opened the first ever photography gallery in England. He is the author of more than 20 books on the history and criticism of photography, approximately 400 essays, lectures and articles and of the Lens Work magazine column EndNotes. 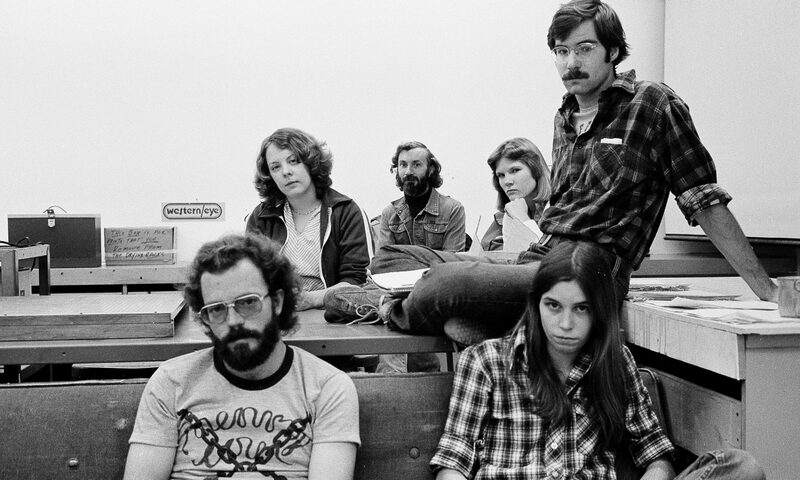 His own photographs have been widely published, including a solo exhibition at the San Francisco Museum of Modern Art. Bill was a friend to iconic photographers such as W.Eugene Smith, Bill Brandt, Tony Ray Jones, Josef Kouldelka and Beaumont Newhall to name just a few but it was his friendship with Magnum photographer David Hurn that was his closest and most fruitful. Their book On Being a Photographer: A Practical Guide was the starting point for many young photographers careers. Bill Jay was a much loved, and at times controversial figure who said what he believed and in doing so inspired, influenced and helped forge the photographic environment in London at a time when at the beginning of the 1970s, British photography was changing more rapidly, than it had ever done before. The new photography, which emerged from the colour supplements and magazines such as Creative Camera and Album, laid the foundations for ‘independent photography’ and the photographic environment we know today. 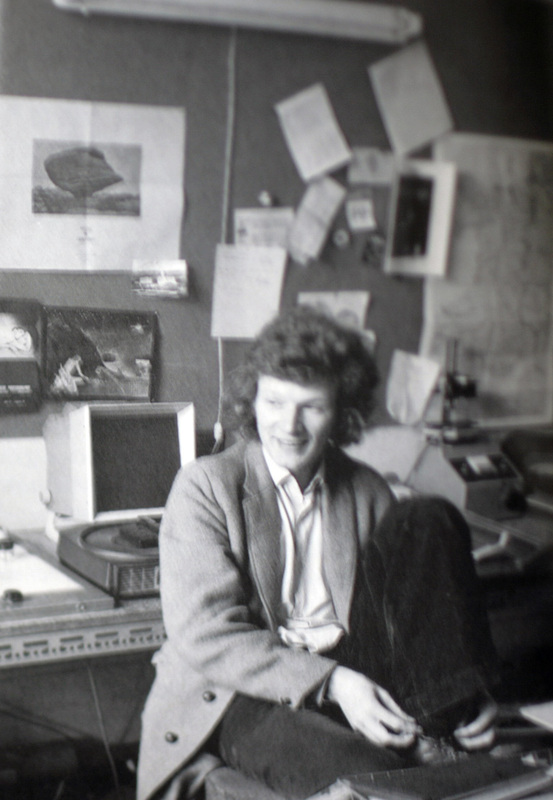 Do Not Bend: The Photographic Life of Bill Jay will feature exclusive interviews with many of the photographers who led the way in the UK and Europe through the late sixties, the seventies and the following decades, alongside Bill’s friends, students and colleagues. It will celebrate his writing, his teaching, his highs and his lows and explore the life of a man who never chose to take the easy option.